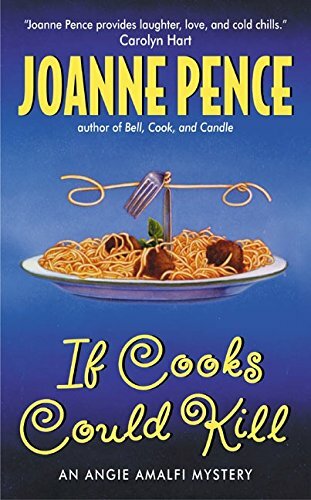 From the back cover:"After a series of failed culinary ventures, employment-challenged Angie Amalfi has decided to cook up something different: love! But Angie's attempts at matchmaking fall flat as a failed souffle, leaving best friend Connie Rogers stood-up by a no-show jock. When Connie decides she's more interested in a tarnished loner, things really start to boil over. Soon the police come looking for her in connection with a brutal robbery/homicide. And after her would-be boyfriend becomes a disappearing act, Connie and Angie set out to find him and the real killer. But when the trail leads Angie into the kitchen of her favourite Italian restaurant, she fears she's about to discover an old family recipe that dishes out disaster...and murder!" Enjoyed this one. Will read more in this series. Left on the bank machine shelf. Enjoy!